My last dye was around February 22, 2018 but it wasn’t until April 2018 that I decided that I definitely wanted to transition to gray hair. I wasn’t sure where to begin. By a crazy coincidence, my friend Kim posted a picture of herself on Facebook at that same time, showing off her lovely gray locks. I’m so glad I saw that post! I reached out to her, and she introduced me to the gray hair Facebook groups. If you haven’t yet, you should check some of these groups out. They are a great resource when you are transitioning to silver hair! You will find tips, tricks, and plenty of support. No matter which route to silver you take, you will find women like yourself on these groups who will encourage you. 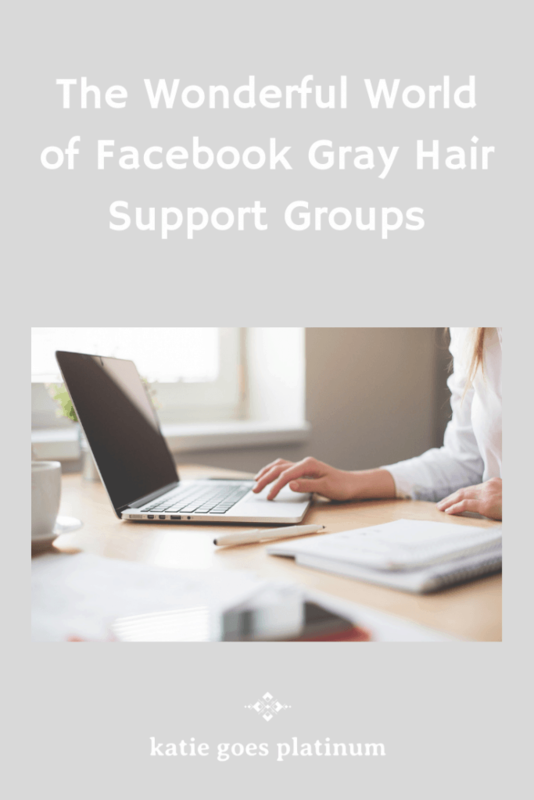 Now, not all of the Facebook gray hair groups are alike. Some groups are very restrictive with a lot of rules and regulations, while others are more freewheeling. 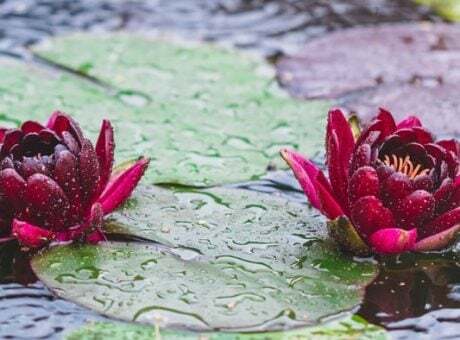 For example, some groups are geared to women who want to go all natural (not just with ditching hair dye, but other artificial beauty products like lipstick. Some gray hair groups are for women who want to transition with long hair, or with short hair. 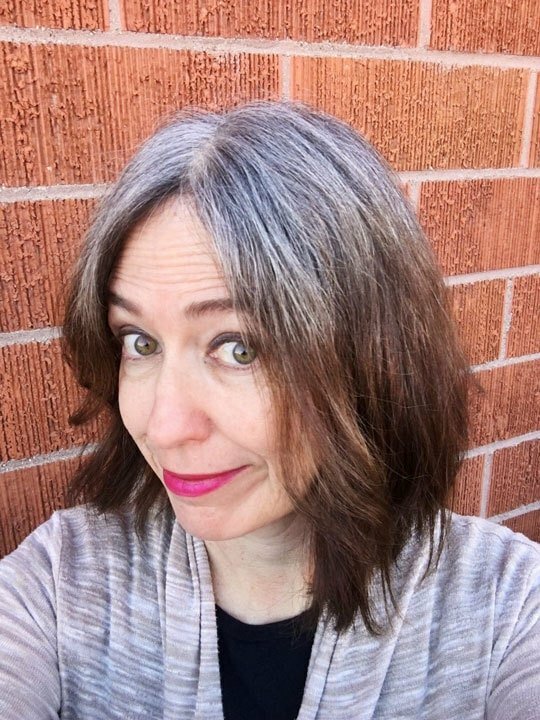 Other gray hair groups are directed towards women who wish to use highlights or gray blending to make the transition easier. A good idea is to join a few groups and see which one best meets your needs. My two personal favorites don’t have those types of restrictive rules! Jonie Peck runs Silver Revolution. I met her originally through another gray-hair Facebook group, and we became friends on Instagram as well. She recently asked me to be her co-Admin at Silver Revolution and we are excited to grow that group. It’s amazing what women can accomplish when we work together! The Admins on The Silver Circle are warm and friendly, and they run a friendly and informative page. A lot of the women in my Silver Hair Transition Stories are women that I met through the Silver Circle. Some of them have become my virtual friends, and I hope to meet them in person some day as I feel a real kinship with them! For many women, going gray is a big deal – it can cause a lot of soul-searching and some insecurity. The Facebook groups really help you work out those feelings and get the support you need. And, if you’re having a blast transitioning, you’ll find plenty of support for that, too! I urge you to check out these groups if you are going gray – you’ll be glad you did. Please do me a favor and share this post to social media, as it helps me grow my audience and spread the word about our Silver Revolution! And remember to subscribe to my YouTube Channel and Pinterest Feed for more gray hair tips and product recommendations. Thanks! What Does It Mean to be a Silver Sister? Sue, how frustrating! Sounds like he didn’t want to support your gray hair transition AT ALL. I’m glad you have the name of a new stylist. If you get a chance, check out my Gray-Friendly Salon Directory and see if you find anyone on there near you. You don’t just need a female stylist, you need one who is supportive of gray hair (many of them aren’t). Good luck & hope it works out! Newsletter – Sign Up Here!